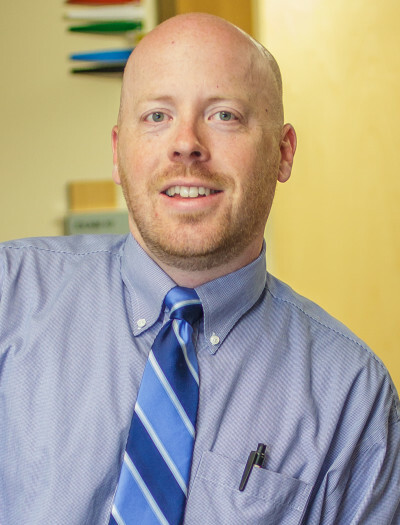 Dr. Morse was born and raised in the central Maine region. After high school graduation, he pursed a Bachelor’s and Master’s degree in Biomedical Engineering at Worcester Polytechnic Institute in Worcester, Massachusetts. Upon completion, he enrolled in medical school at Tufts University in Boston, Massachusetts and also pursued research at the Massachusetts General Hospital. Following medical school, he and his family moved to Rochester, New York for an orthopaedic residency. Further sports medicine fellowship training was performed at the University of Pittsburgh Center for Sports Medicine where he learned advanced techniques for the treatment of shoulder, elbow, hip, knee, and ankle injuries including the double-bundle ACL reconstruction. While there, he also gained exposure to the care of high school, college, and professional athletes such as the University of Pittsburgh, Duquesne University, Pittsburgh Steelers, and Pittsburgh Penguins. Dr. Morse is the author of many book chapters and peer-reviewed journal articles, and has given lectures at the national level. He also serves on the Medical Executive Committee of St. Joseph Hospital and is on the Medical Advisory Board of Kindred Transitional Care and Rehabilitation-Brewer. He has an interest in minimally invasive arthroscopic treatment of shoulder, elbow, wrist, hip, knee, and ankle joint injuries as well as open complex reconstruction. He is also the Team Physician for the University of Maine and several local area high schools as well as the Assistant Team Physician for Husson University. To contact Dr. Morse’s office please call (207) 307-8905 or fax (207) 307-8915.